It’s time to prepare for Christmas! Are your ready to knit some gifts this year? Then come and join our huge Indie Design Gift-A-Long on Ravelry! It’s ON! 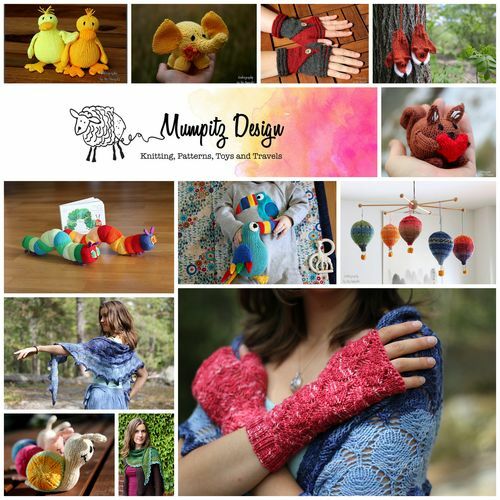 335 Indie-designers, 6 weeks of KAL/CALs, tons of patterns at 25% off and crazy many prizes to win! 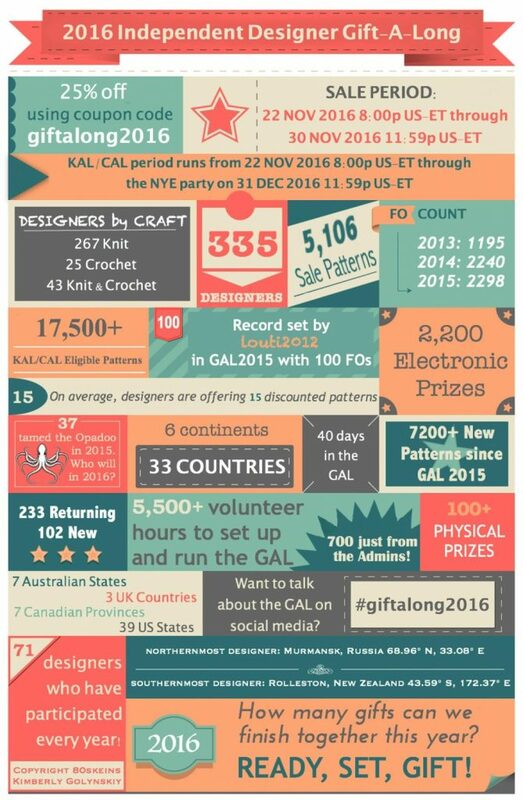 From November 22, 2016 at 8:00 pm US EST to December 31, 2016 at midnight US EST there will be fun games, contests, and 8 KAL/CALs that will help you get your holiday knitting done with companionship and fun! From November 22, 2016 at 8:00 pm US EST to November 30th at 11:59pm US EST 335 (!!!) indie designers will be discounting between 5 – 20 of their patterns 25% for this event. Use coupon code: giftalong2016. You can read all about the details in this post: click here or on the FAQ page in our group pages. See a presentation of all participating designers here. If you need more reasons to start knitting right away, just look outside your window. See? Yeah, thought so! Off to the sofa and to the needles! On your mark…get set…. GIFT!! And have fun! Please use #giftalong2016 to tag your social media-ing! Here are some event ravatars. Feel free to download and use them!